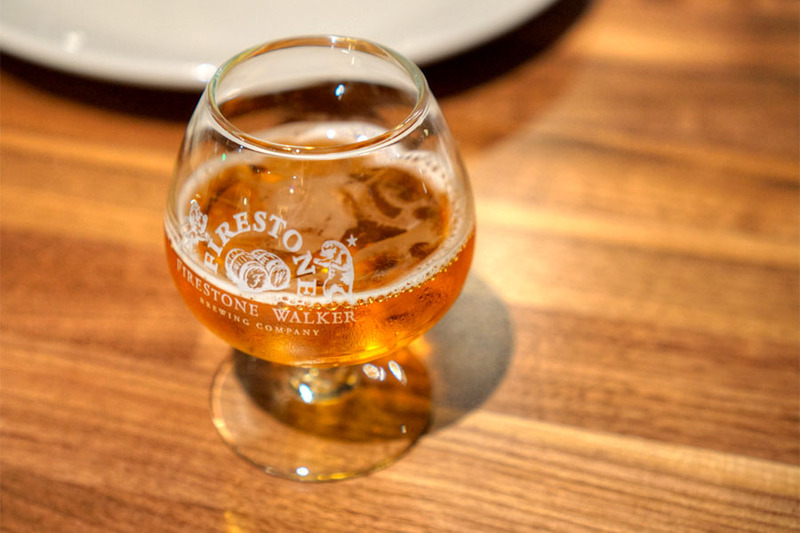 There's no doubt that Firestone Walker's one of the giants of the SoCal beer scene, so when it was announced in August 2013 that the brewery would be building a location in Venice (or Marina del Rey, if you prefer), excitement was expectedly high. 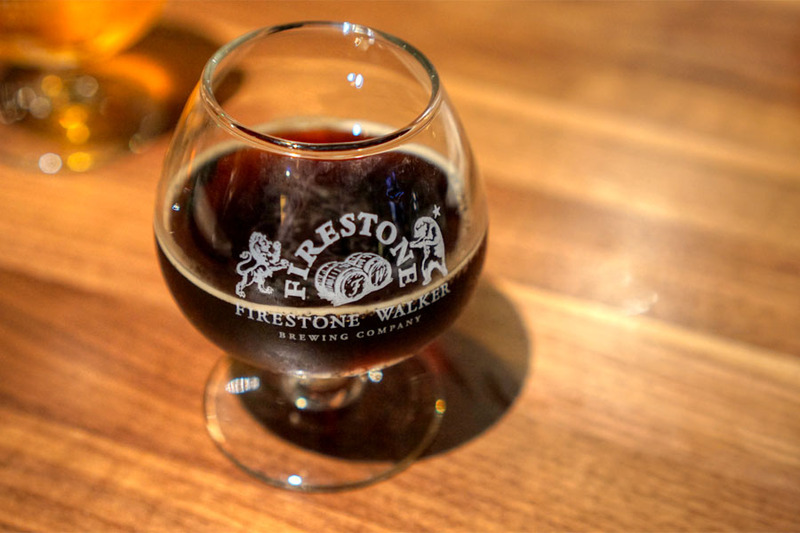 After a number of delays, the facility finally debuted at the start of April, FW's third behind the main brewery in Paso Robles and the wild ale-focused Barrelworks in Buellton. 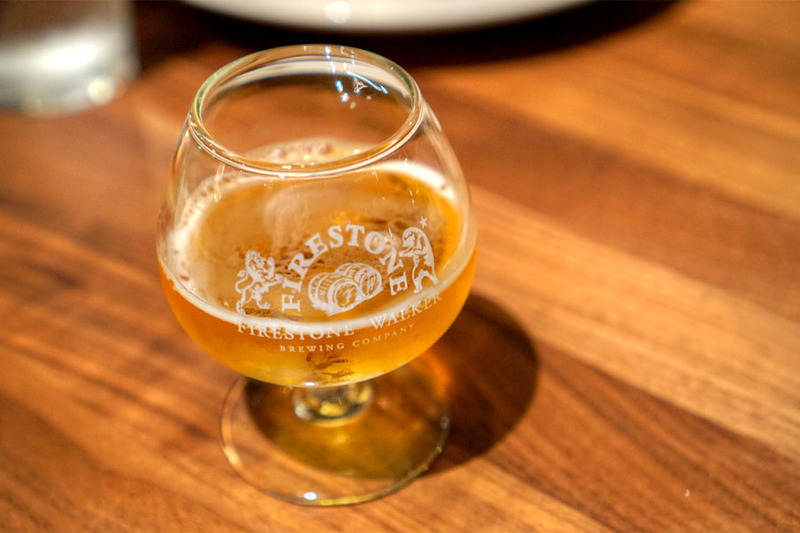 "The Propagator" comprises a restaurant-taproom, company store, barrel cellar for the aging/blending of "rustic" farmhouse-style ales, as well as a small brewhouse that's yet to open (permitting delays, again). 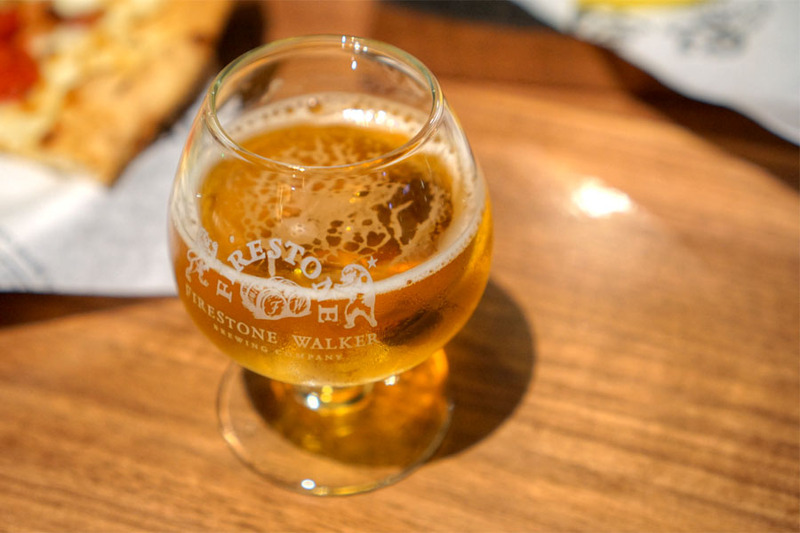 It'll be months before any beer is produced on-site, so we dropped by to sample the eats and down some suds in the process. 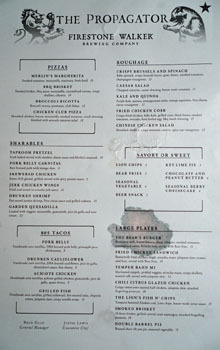 The restaurant occupies the former home of World Gym, and a Sizzler before that. It's a large, brewpub appropriate space. 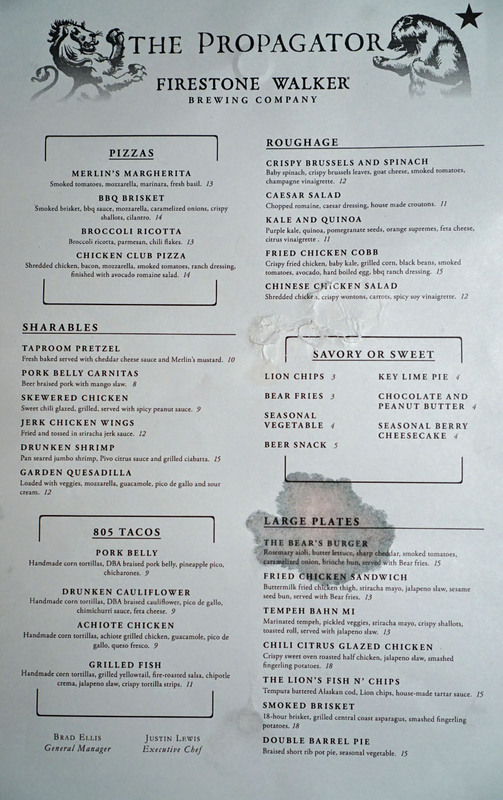 You can expect a menu of casual, gastropub-y, beer-friendly fare from Executive Chef Justin Lewis (Simmzy's, The Malibu Inn, Giggles N' Hugs, Pink Taco). 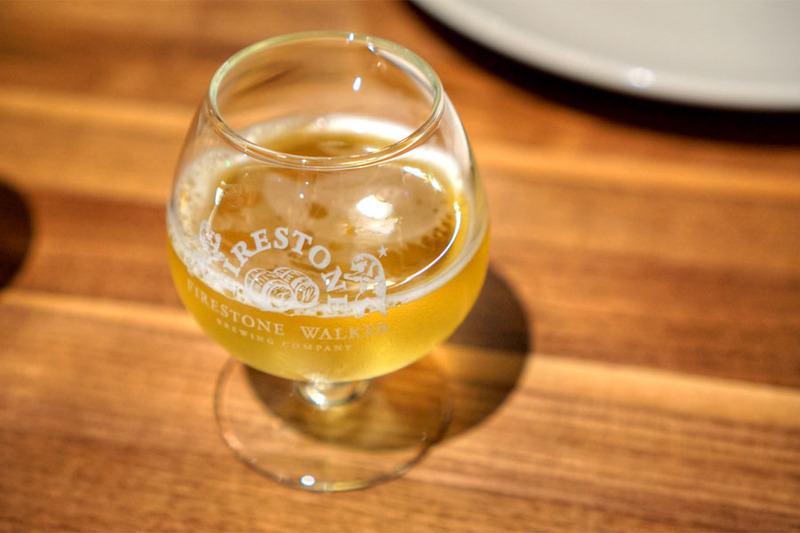 Drink-wise, there's a pretty complete selection of house beers on tap--available in full pours or 3oz tasters ($1.50 to $4.25 a pop)--and in the bottle, along with a small list of Central Coast-centric wines. Click for larger versions. 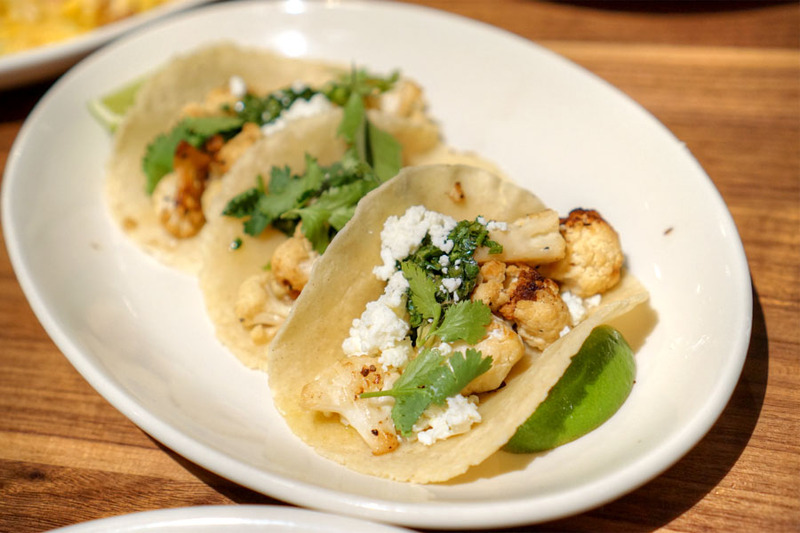 Drunken Cauliflower Tacos [$9.00] | Handmade corn tortillas, DBA braised cauliflower, pico de gallo, chimichurri sauce, feta cheese. Tacos made for a decent start to the meal. Good texture and char on the cauliflower, and I enjoyed how the veggie was paired with the zippiness of the chimichurri. I wasn't so keen on the feta though, which seemed out of character for the dish. 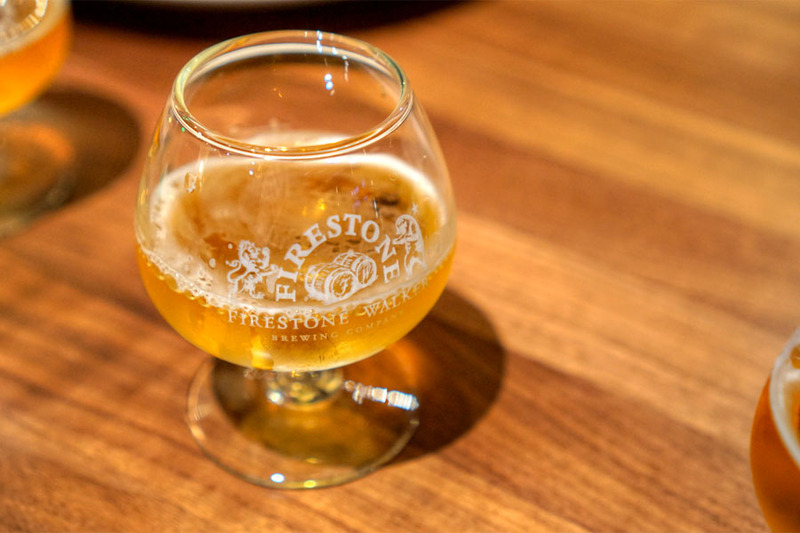 805 Blonde Ale - Inviting and almost honeyed to the smell, with more sweet malt and grain on the palate. A good lawnmower beer. 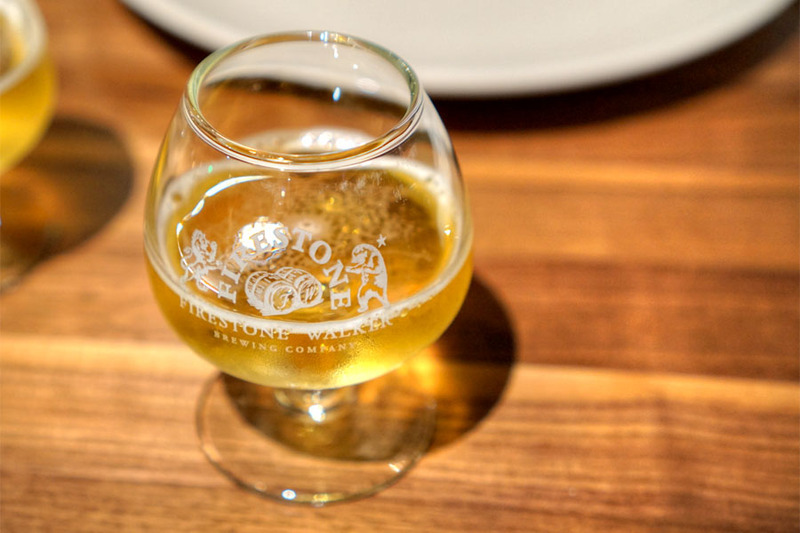 Pivo Hoppy Pilsner - Tart and lemon-y aromas lead to a tangy, spicy, slightly hoppy flavor profile with some light herbal nuances. 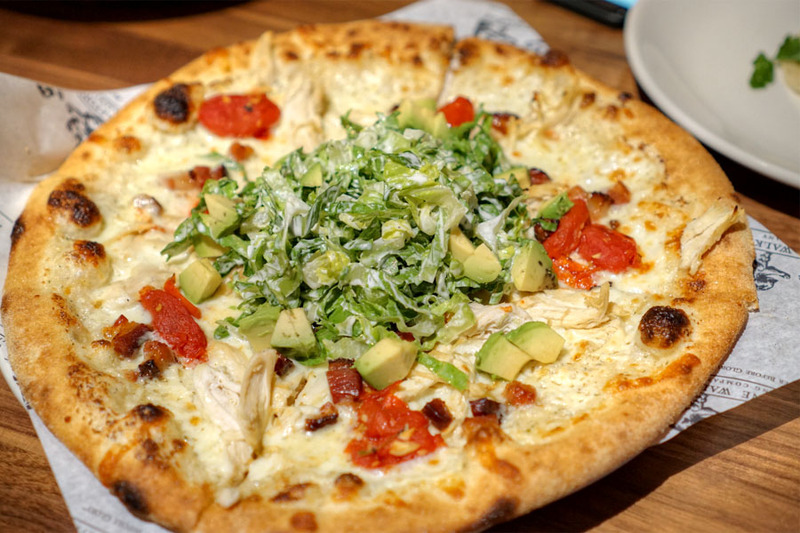 Chicken Club Pizza [$14.00] | Shredded chicken, bacon, mozzarella, smoked tomatoes, ranch dressing, finished with avocado romaine salad. The pizza was a table favorite, and actually tasted pretty close to its namesake, with some tangy, bright flavors to go along with the chicken. The bird, though, was a bit tough unfortunately. Keller Pivo Hoppy Pilsner - The "cellar" version of the Pivo above. I found tarter citrus aromas here, along with a deeper, more floral taste. Considerably improved. 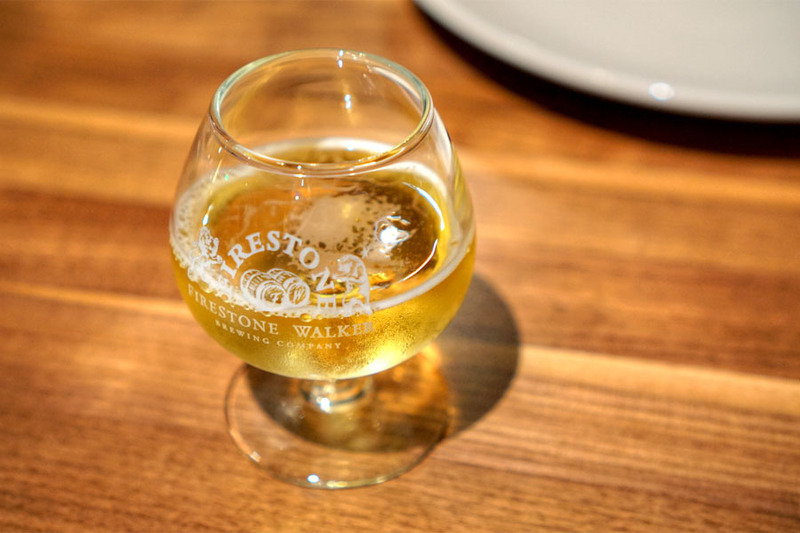 Opal Dry Hopped Saison Farmhouse Ale - Light graininess, spice, and funk on the bouquet. Palate went yeasty, grassy, spicy again, with a bitter backing. Cask Unfiltered DBA 100% Oak Fermented Unfiltered British Pale - Noticeably roasty and bitter to the smell. On the tongue: super smooth, soft, with low carb and more bittersweet roast character. 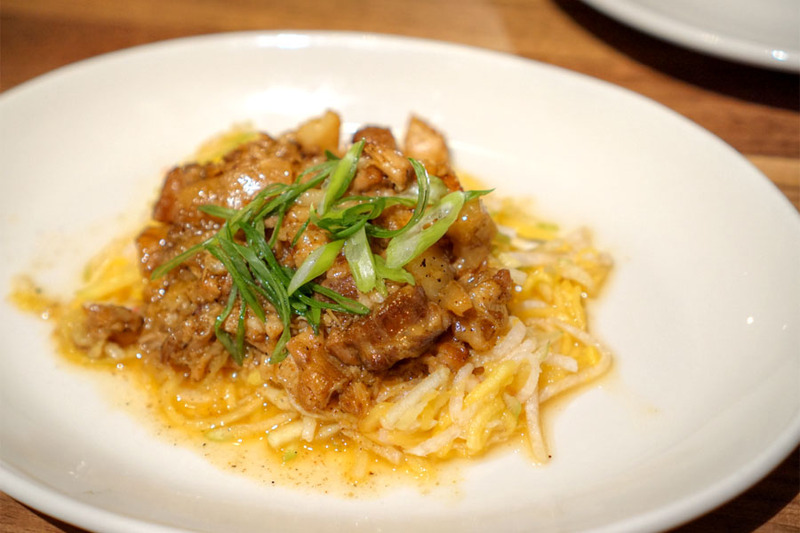 Pork Belly Carnitas [$8.00] | Beer braised pork with mango slaw. The carnitas came out overly sweet and under-spiced, and lacked the crispy bits I was looking for. The paired slaw did provide an appropriate contrast, but again, could've had more texture. Unfiltered DBA 100% Oak Fermented Unfiltered British Pale - The non-cask version of the preceding beer. 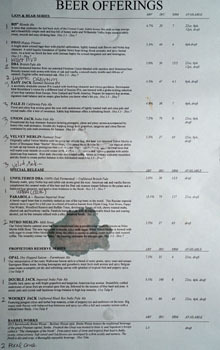 Not as much going on in the bouquet, while the palate was fizzier, with sharper flavors overall of malt and wood. 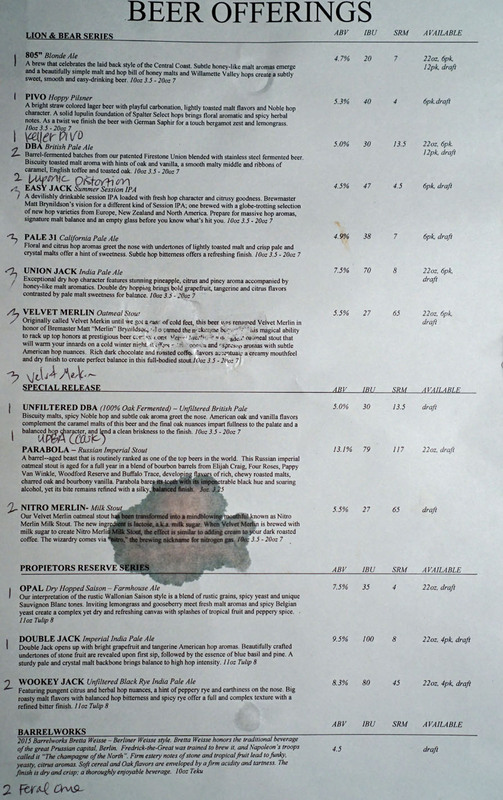 Double Jack Imperial India Pale Ale - Smelled quite good, very hoppy and citrusy and floral. 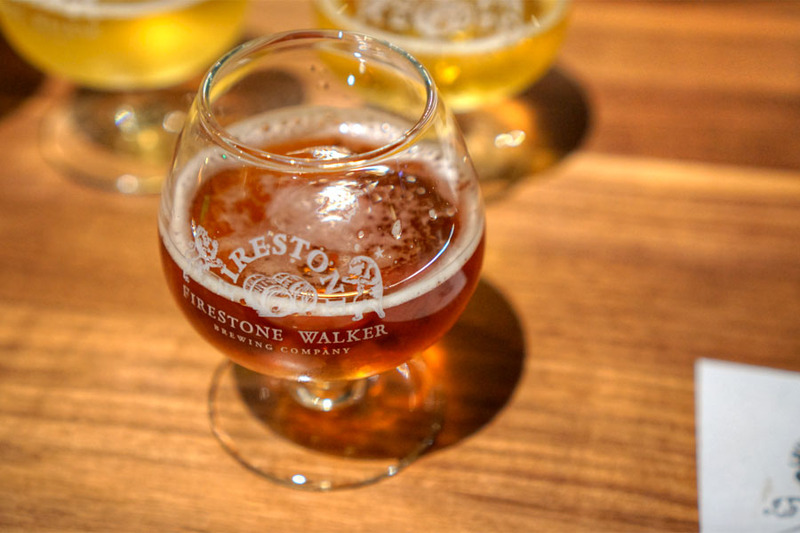 The taste also delivered, with more piney hops backed by sugary malt. Luponic Distortion IPA - Bright hops joined by a surprisingly deep spicy character on the nose; on the tongue I found it quite smooth, with more pine and sweet-tart citrus. 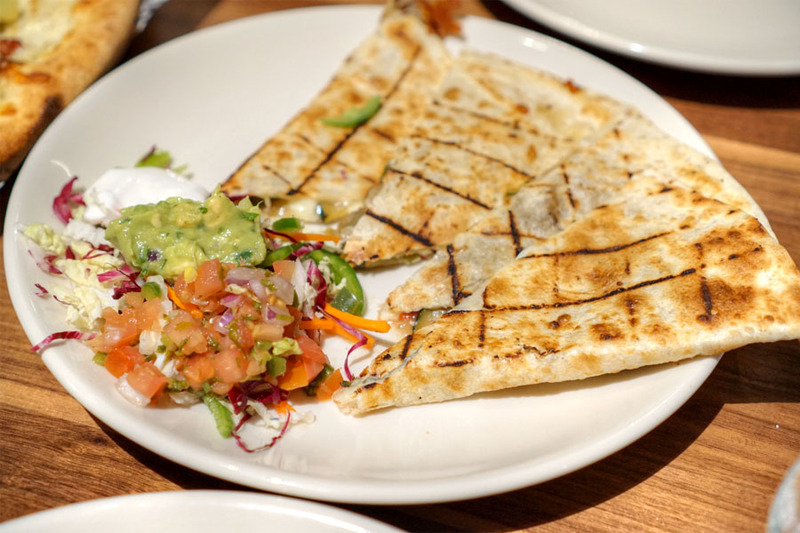 Garden Quesadilla [$12.00] | Loaded with veggies, mozzarella, guacamole, pico de gallo and sour cream. The quesadilla went over well, coming out properly cheesy and gooey with a nice contribution from the bell peppers. I liked the charring going on here, and appreciated the brightness of the accompanying salsa as well. DBA British Pale Ale - The base beer for the two variations above. 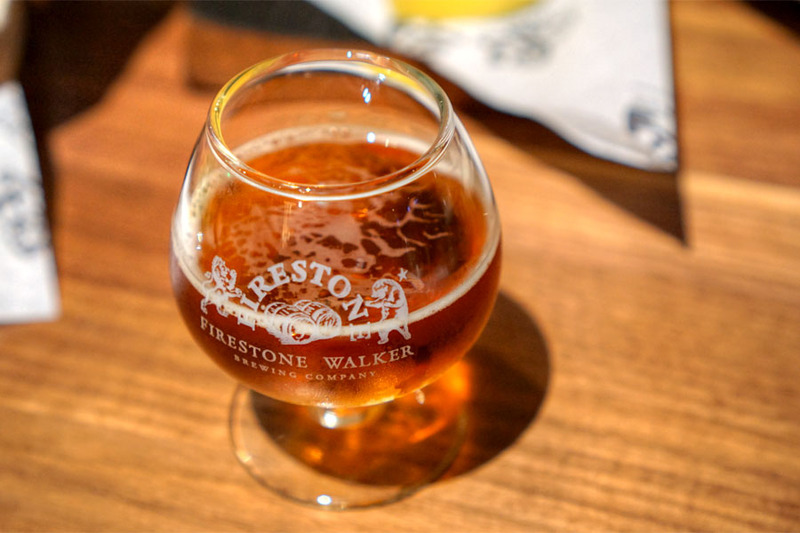 Sweet and roasty to the smell, with a straightforward palate that brought light oak and malt alongside a persistent caramel quality. Nitro Merlin Milk Stout - Ridiculously silky smooth, with chocolate and coffee notes abound. Velvet Merlin with lactose, basically. Wookey Jack Unfiltered Black Rye India Pale Ale - On the nose this one went bitter 'n' spicy as expected. 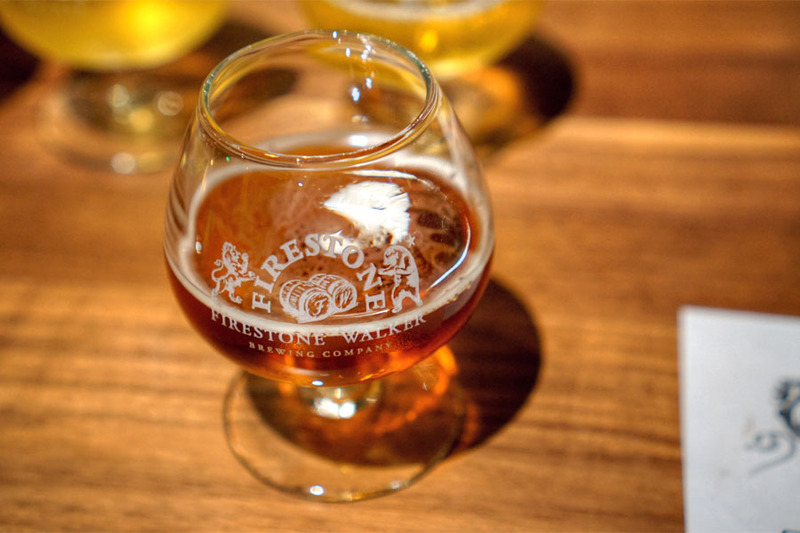 Taste-wise, I got more hops, more rye, and lots of aromatic roast. 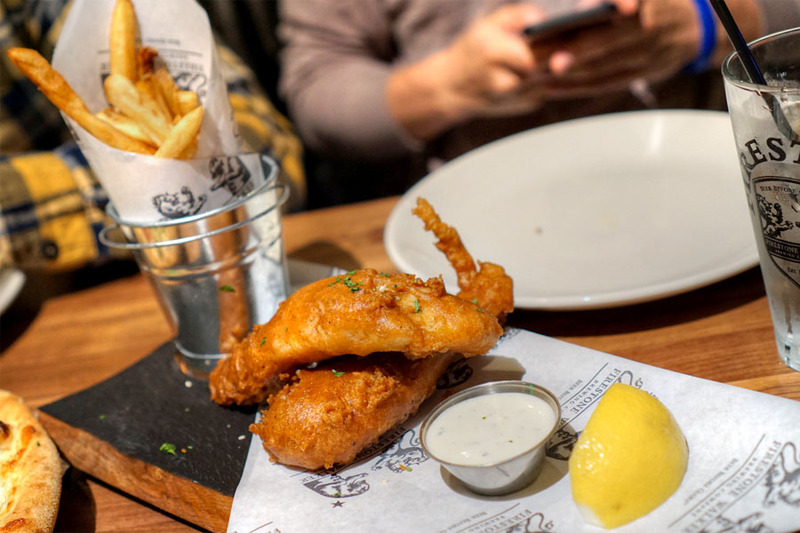 The Lion's Fish n' Chips [$15.00] | Tempura battered Alaskan cod, Lion chips, house-made tartar sauce. The kitchen did a pretty commendable job with this pub fare staple. The fish itself showed off a properly crisp crust and flaky, flavorful insides that really shined with a dab of tartar and a squirt of lemon. As for the chips, I definitely appreciated the spicing on 'em, though they could've been a touch crispier. Feral One American Wild Ale - Very tasty, with an eminently balanced presentation of tartness and funk blended with some sweet, vinous notes. Easy Jack Summer Session IPA - A well-integrated commingling of hops and malt on the nose. 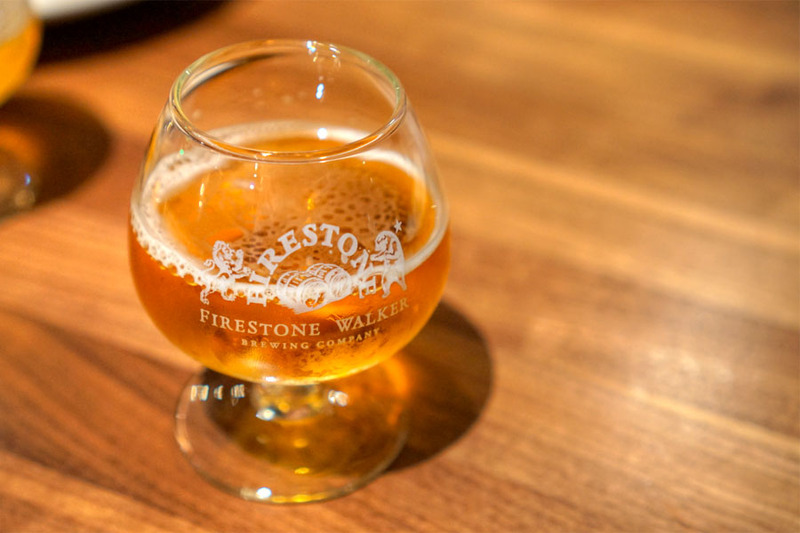 The palate went noticeably hoppier, with a refreshing citrus and pine finish. 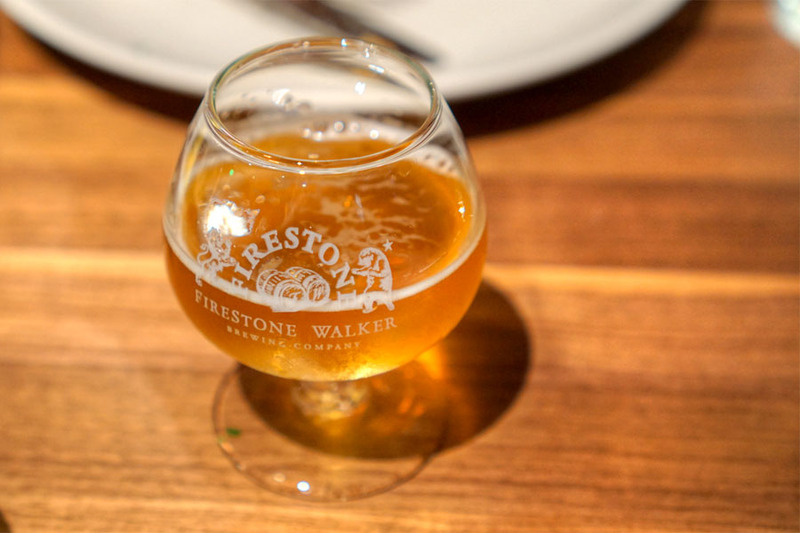 Pale 31 California Pale Ale - Weak on the nose, with just a smidge of hoppiness peeking through. The taste was also on the lighter side, with more subtle hops and a touch of breadiness. 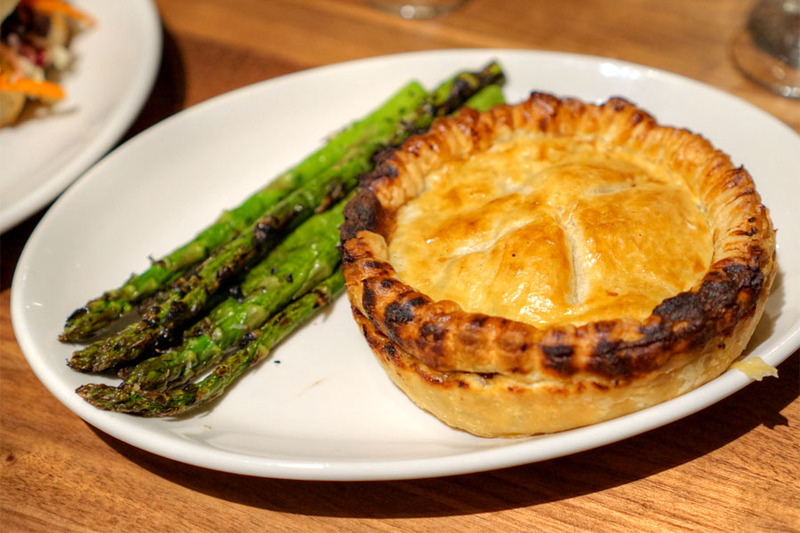 Double Barrel Pie [$15.00] | Braised short rib pot pie, seasonal vegetable. The pot pie was my favorite dish of the night, a super homey, super cozy preparation that gave up all the deep, dark, beefy flavors you'd expect, countered by the appropriate veggies. Big fan of the flaky, buttery crust here too. Union Jack India Pale Ale - Aromas of soft, tropical hops. Taste brought more bitterness and a distinct grassy character. Velvet Merlin Oatmeal Stout - Plenty of roasty coffee on the nose, while the palate went bittersweet, with more roast and a strong nuttiness. 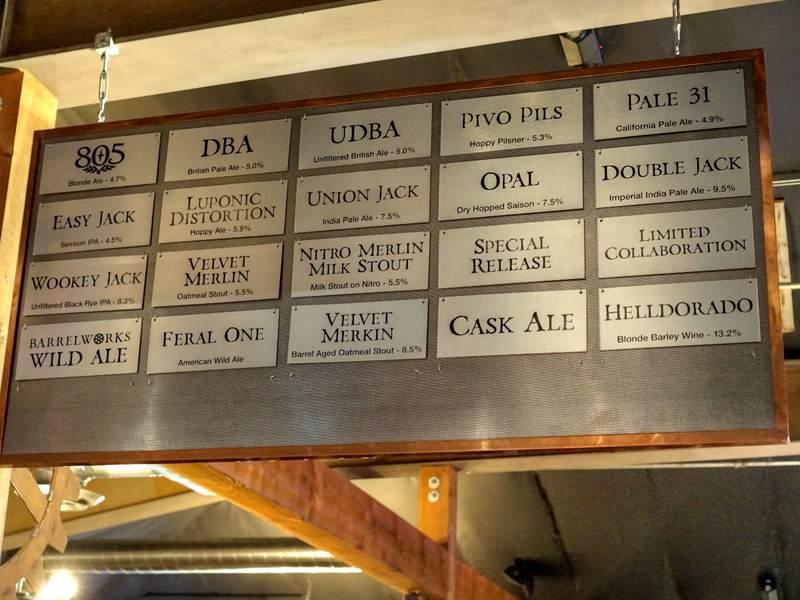 Velvet Merkin Bourbon Barrel Aged Oatmeal Stout - The BA version of the Merlin above, and a much bigger beer with a considerably spicier, boozier bouquet and flavors that highlighted brown sugar and bourbon. 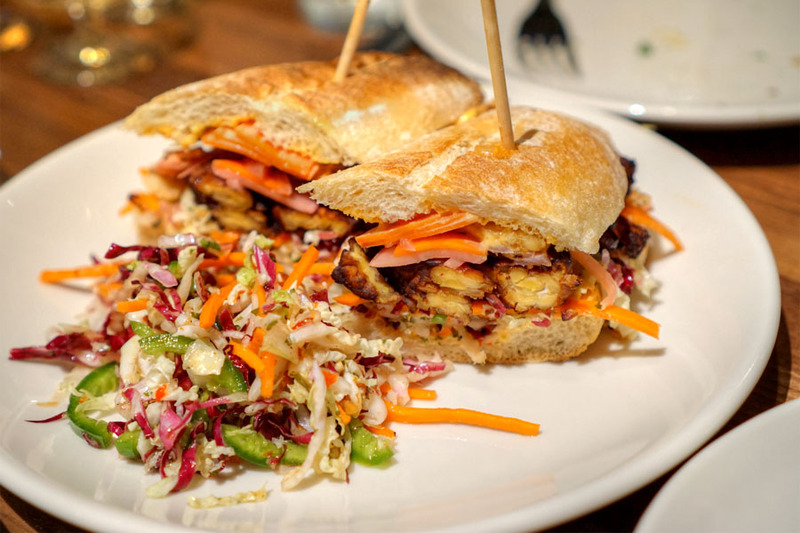 Tempeh Banh Mi [$13.00] | Marinated tempeh, pickled veggies, sriracha mayo, crispy shallots, toasted roll, served with jalapeno slaw. This didn't taste quite like an O.G. bánh mì, but was still enjoyable, with a nice char on the tempeh and plenty of bright acidity and crunch from all the various accoutrements. 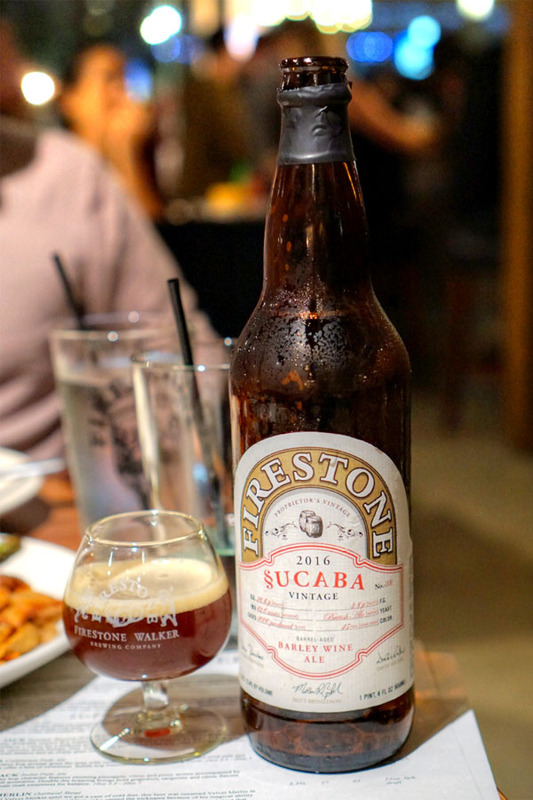 The 2016 Firestone Walker Sucaba purchased from the on-site brewery store was a crowd pleaser. 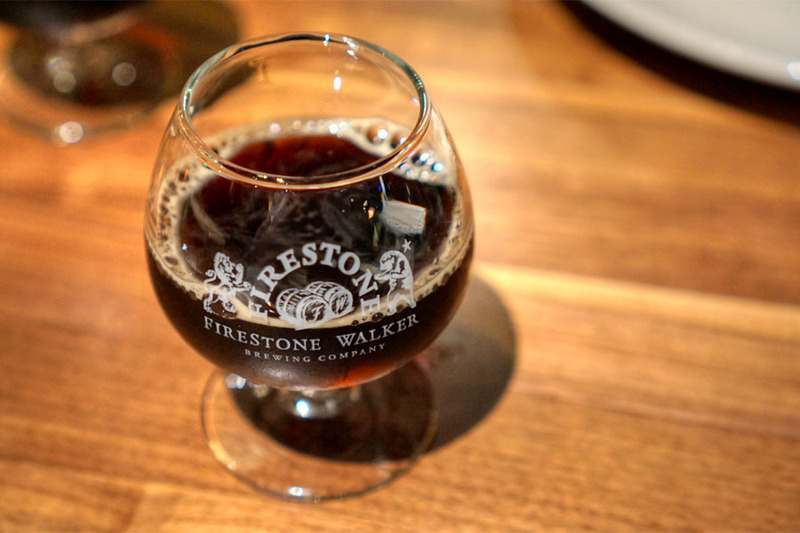 A barrel-aged English barley wine, this one was all about boozy dark fruit aromas that definitely showed off the barrel aging going on. 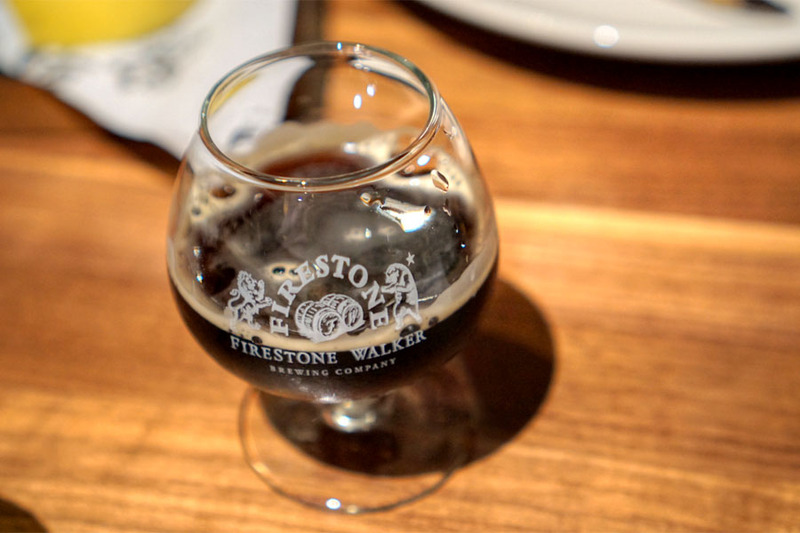 In terms of taste, think mounds more dark fruit, chocolate, malt, spice, oak, and lots of brown sugar. 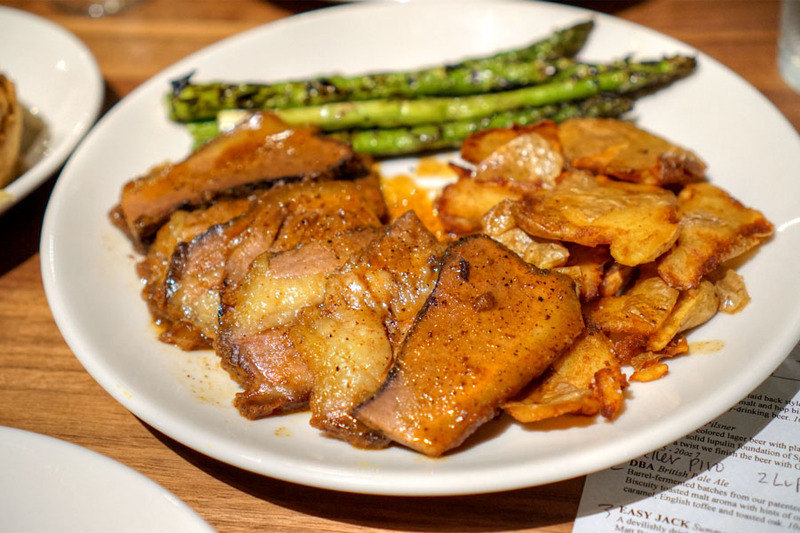 Smoked Brisket [$18.00] | 18-hour brisket, grilled central coast asparagus, smashed fingerling potatoes. Brisket arrived super tender and fatty, though also oversauced, which masked much of the inherent beefiness of the cut. I was definitely a fan of the potatoes though--perfectly crisp, herby, and hearty. 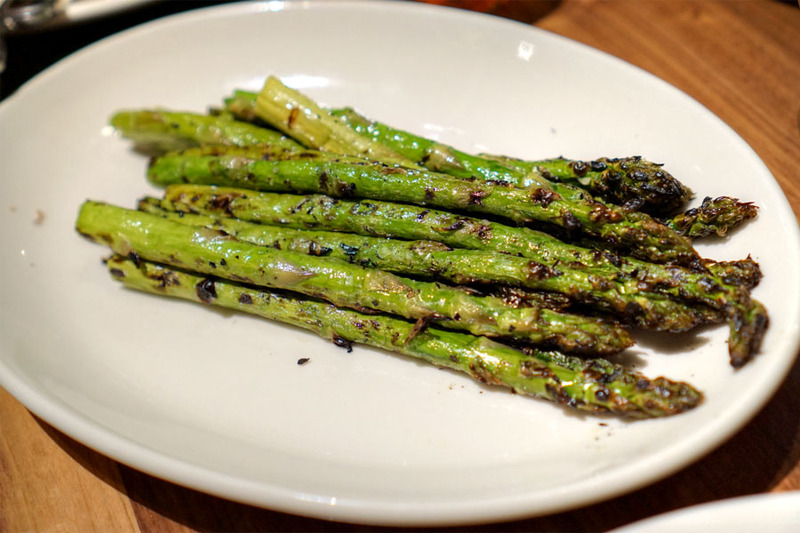 Asparagus was on point, with the crisp stalks displaying a good balance of char and bitterness. 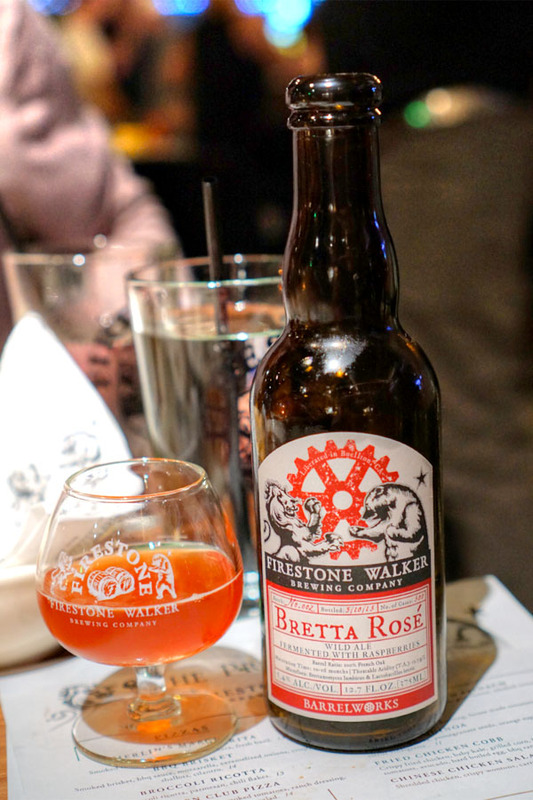 The 2015 Firestone Walker Bretta Rosé was a definite standout: a wild ale fermented with Brett and Lacto, matured in French oak for 10 months, then aged another six months with raspberries. Think deliciously tart and jammy on the nose, while the palate brought loads of tartness, funk, and acidity to go along with the fruit. 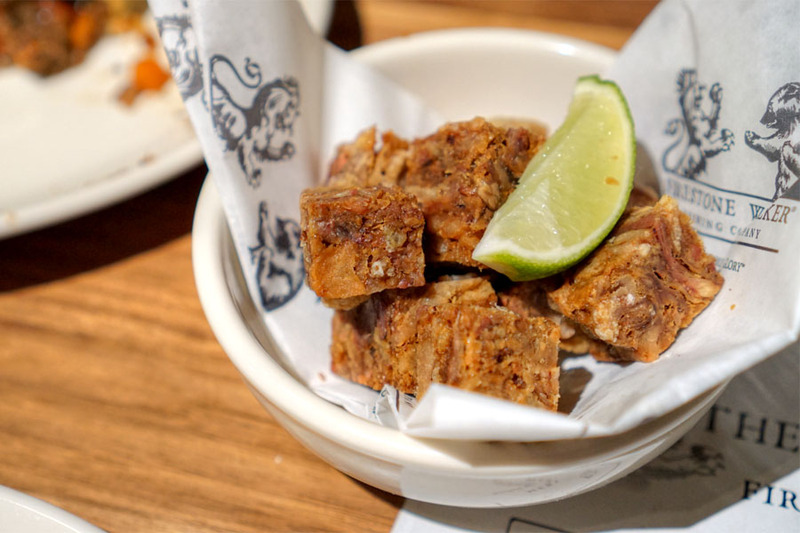 The curiously-titled "beer snack" actually comprised some super porky, super crunchy, super cubic chicharrones. 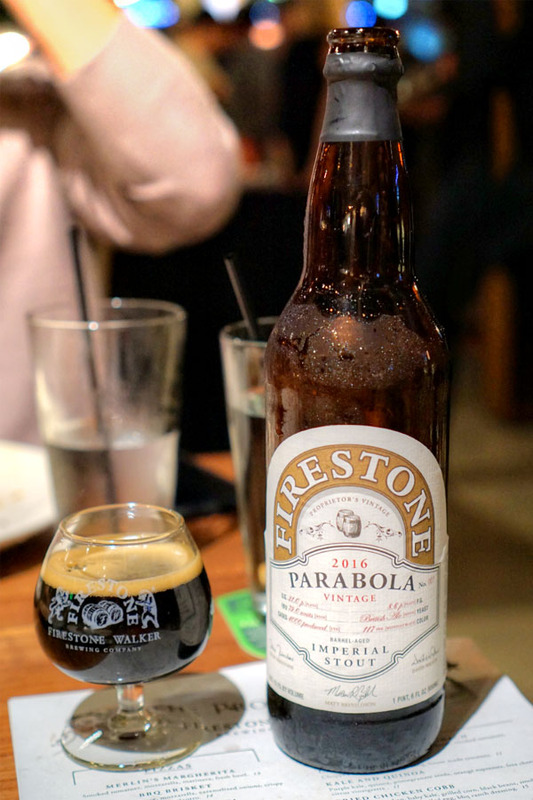 Our final beer was the newly-released 2016 Firestone Walker Parabola, a Russian imperial oatmeal stout aged for a year in a blend of bourbon barrels from Elijah Craig, Four Roses, Pappy Van Winkle, Woodford Reserve, and Buffalo Trace. 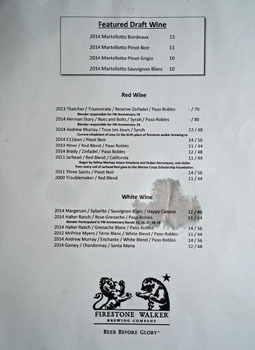 On the nose I found lots of dark fruit, booze, and a persistent tartness. 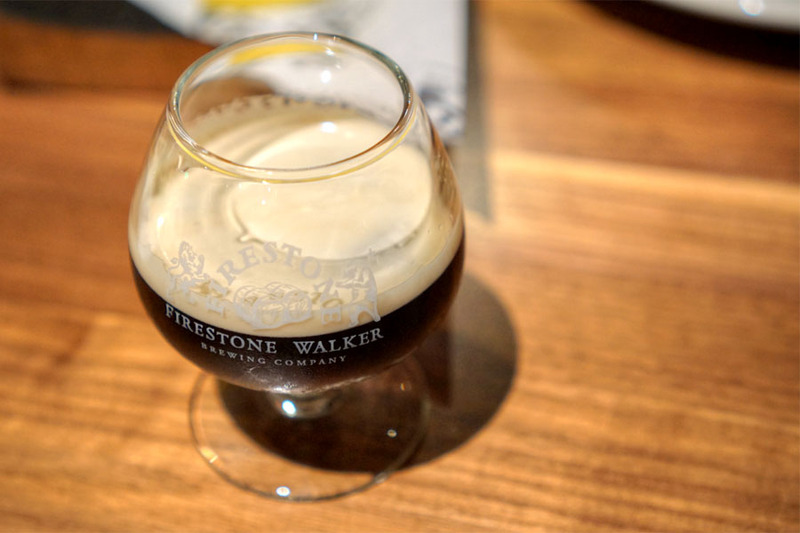 On the tongue: rich, huge malt, brown sugar, booze, smoke, roast, and a definite spicy character. I'd say that this could use a bit more age, actually. 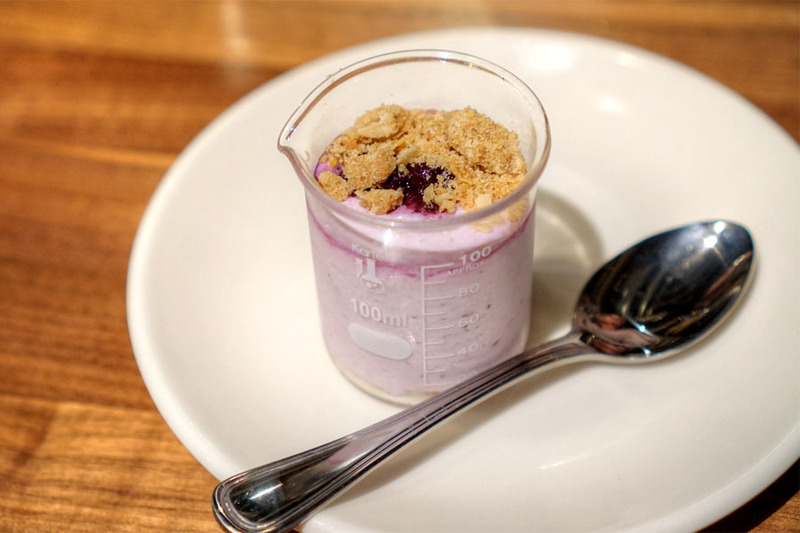 Time for dessert (all served in beakers, curiously). 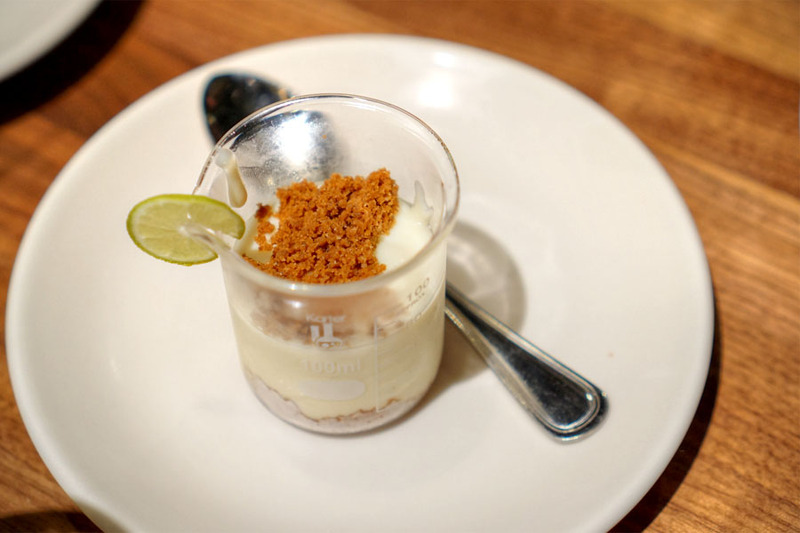 The key lime pie hit the mark with its delectable sweet-tart flavors and great counterpoint from the crust crumbles. 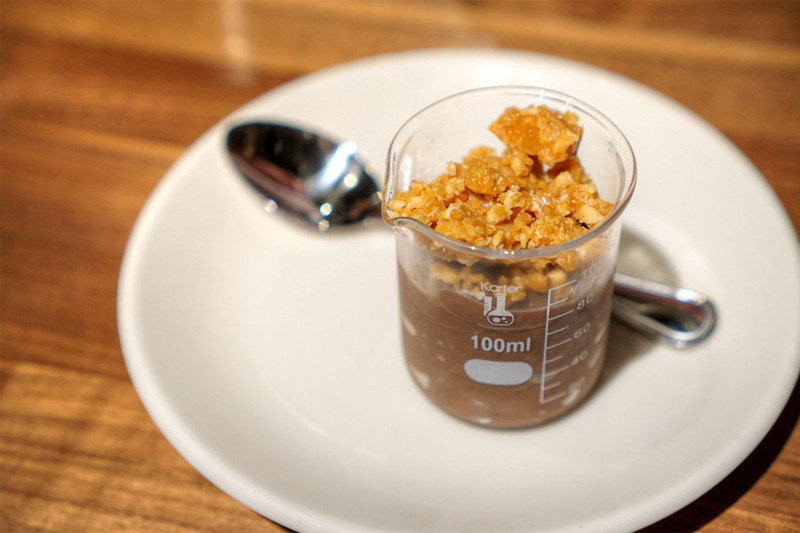 Chocolate and peanut combined in classic fashion. I got loads of cocoa powder, and enjoyed the textural component from the brittle as well. The cheesecake was my favorite of the three, with its rich, yogurty tanginess matched by the sweet berry fruit while the bits on top worked as a perfect accent piece. 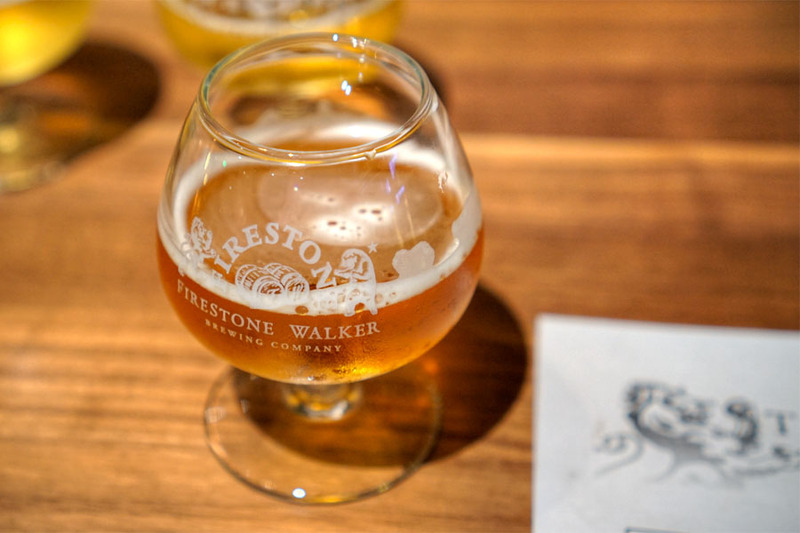 From the looks of things, this new Venice outpost of Firestone Walker has all the makings of a hit--a big, fun space with plenty of beer. As for the eats, several of the dishes we had could definitely benefit from some finessing, but the food works acceptably enough for the concept. I'll probably make my way back once the brewhouse comes online. great post. 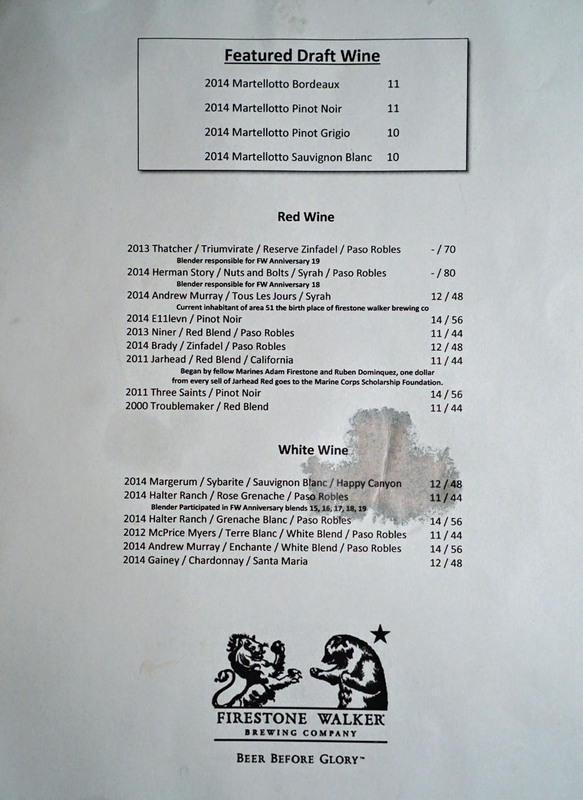 I've been wanting to visit this new location since I've been to the paso robles location. Can i ask what camera/lens you used for these pictures? Good to hear that you enjoyed the post Ernesto. I'm currently using a Sony A6000 with a 35mm f1.8 lens.